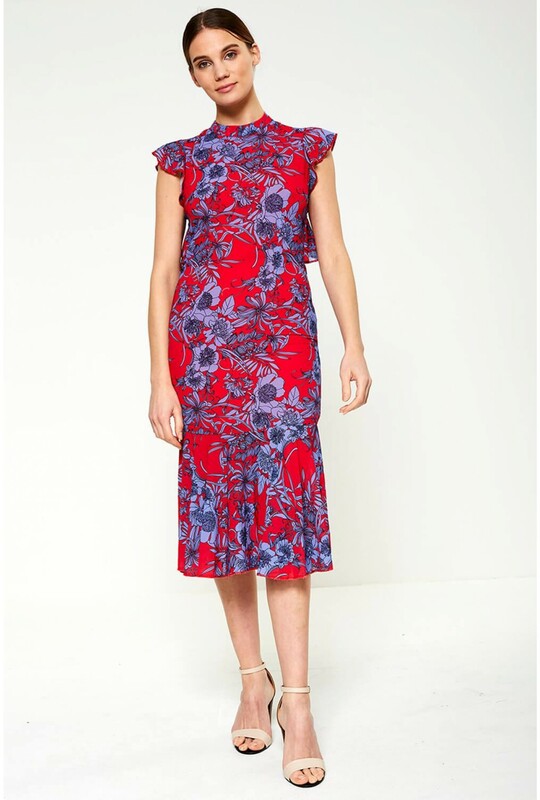 New in from our Boutique collection is this flattering pencil silhouette dress from Darling. 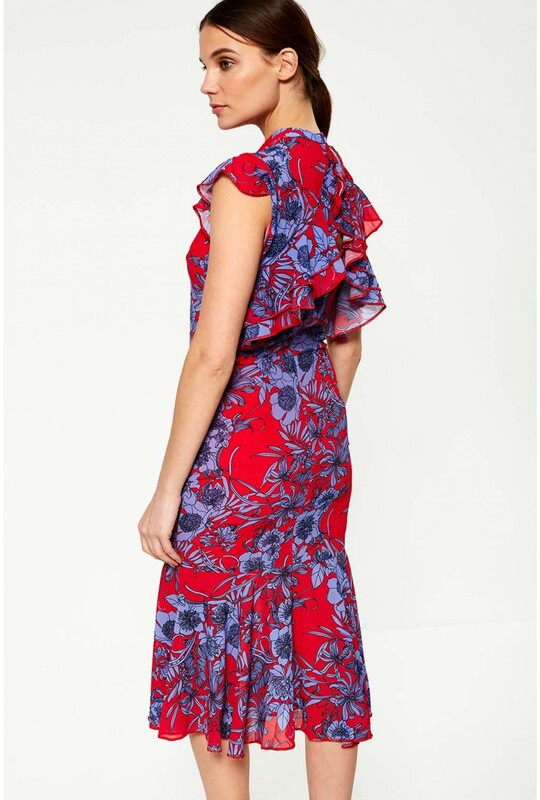 Feminine and sophisticated, this midi occasion dress features a striking oriental print, pep hem and frill detailing at the back. Keep your accessories simple and team with classic court heels and a clutch bag.